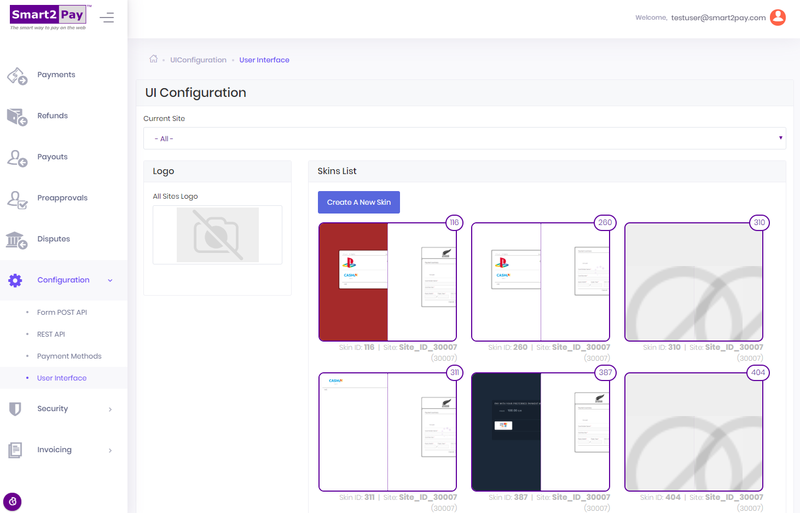 In the Configuration section, the user can add and configure multiple websites for his account (REST API tab), set up his preferred payment methods to use (Payment Methods tab), and choose the look and feel of the payment page (User Interface tab). Once you login to your Dashboard Account go to Configuration tab -> REST API, where you will be able to add and configure multiple websites. 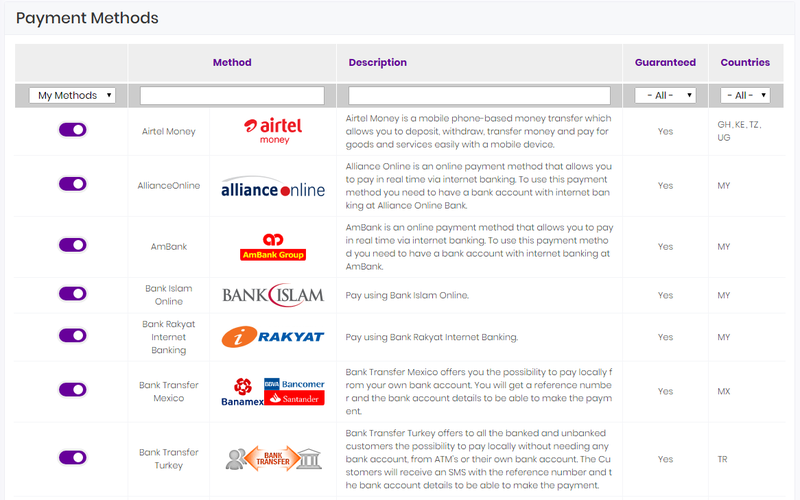 You can have multiple websites from where you can initiate payments to GlobalPay system, each website having its own SiteID parameter. The SiteID parameter will be generated by our system and it will allow us to identify the location from where the payment was initiated and the URL where we will notify you of the payment status. By using this parameter, you will be allowed to manage multiple websites under the same merchant account. You can configure the SiteIDs from the REST API Configuration tab in the Configuration section. You can also use various filters in order to easily identify each website, like: SiteID, Alias, URL, NotificationURL and IPlist. 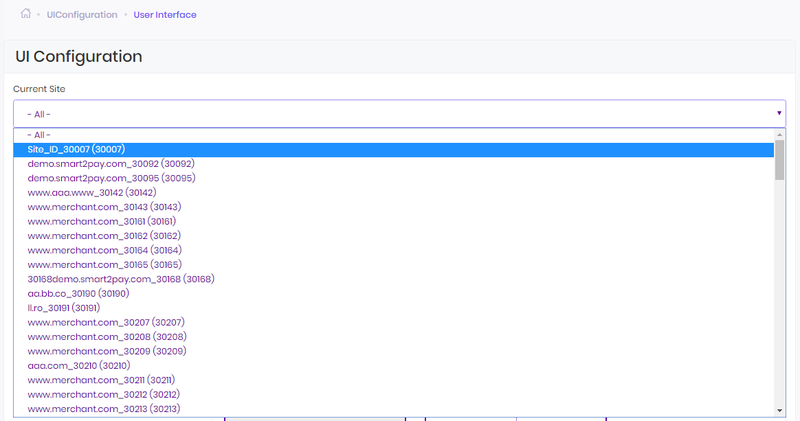 Four possible actions can be performed for a website using the following buttons from the Actions column: Show ApiKey, Generate New API Key, Set IPs and Delete site. In order for you to add a new website you need to click on the Add a New Site button. A new window will appear and you need to enter the Alias for your site (an alternative name that identifies the website in the GlobalPay system), the URL of your site, the Notification URL where you want to receive the notifications for the payments initiated from that website, and the IP List. 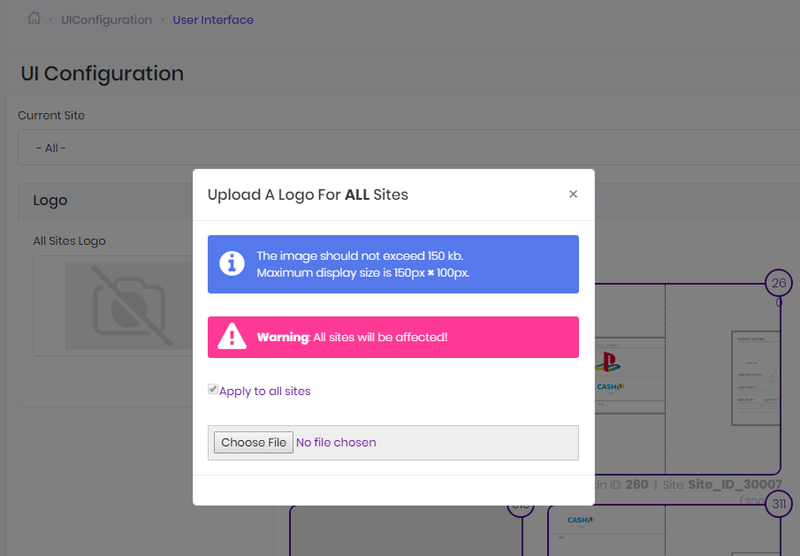 After you entered a valid URL, a Notification URL and an Alias, press OK and a SiteID will be generated for you. After the creation of the new merchant site, no API Key is generated for the new SiteID. In order to generate a new API Key, you need to press the Generate New API Key button from the Actions column of your new SiteID. You can see the generated API Key by pressing the Show API Key button . Please make sure the API Keys are kept secret and regenerate at once if security has been compromised! It is recommended to use a different API Key for each SiteID to authenticate to the REST API. Once an API Key for the SiteID is generated, this is the API Key used to authenticate to REST API for each payment initiated from that website and for each notification send to the NotificationURL set for that website. The API Key is an important part of the payment flow; it is used to authenticate to the REST API. For more information, please visit our Authentication section. 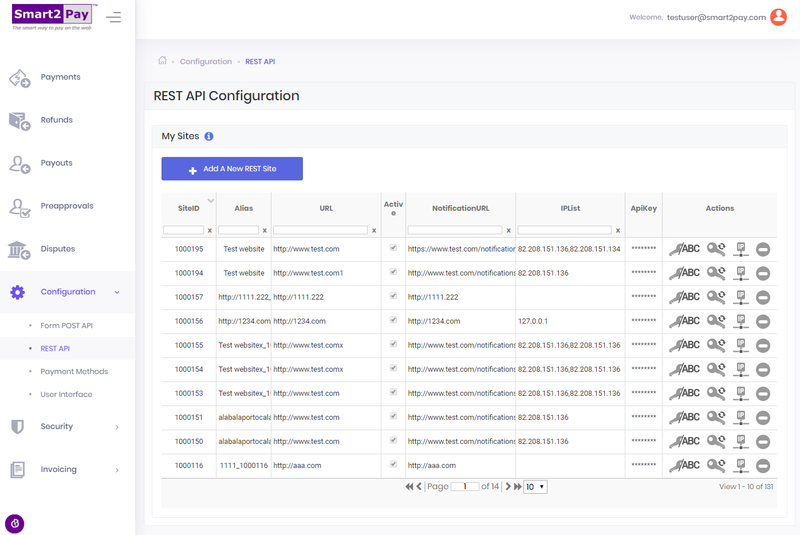 You can configure the IPs for each SiteID from the REST API Configuration section in the Actions column. In order for you to whitelist your IP you need to click on the Set IPs button in the Actions column. A new window will appear and you need to enter a valid IP. After you enter the IP press the OK button. 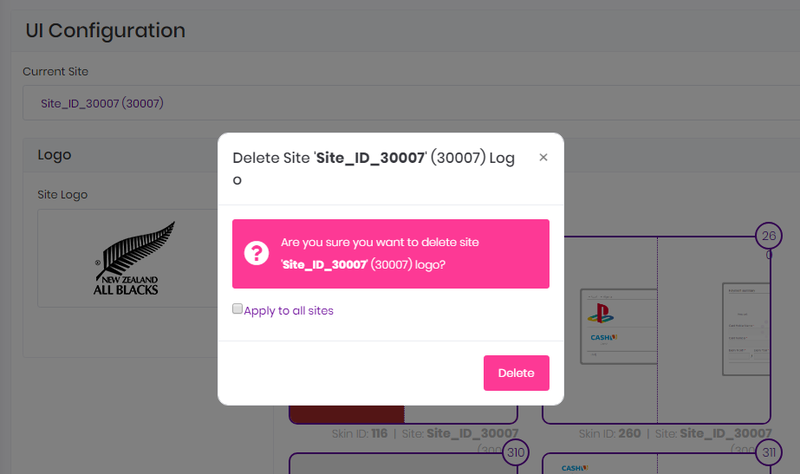 You can delete a SiteID by pressing the Delete site button from the Actions column. The UIConfiguration tab from Merchant Dashboard is your tool to configure the look and feel of the payment page. In order to create or edit new skins or change the merchant logo, you need to have assigned a role with at least the following access rights: UIConfiguration-View and UIConfiguration-Update. When you access the UIConfiguration tab you will see a complete list with the skins of all the websites assigned to your account. 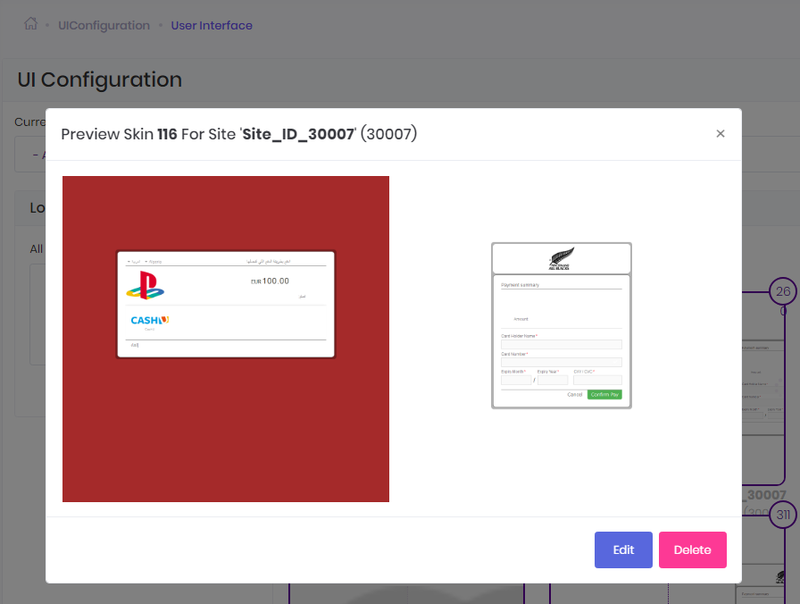 You have the possibility to select a specific website using the Current Site drop down list, in order to view the skins assigned to it. After selecting the required website you can view the skin by using the Preview function. You can see the ID of the skin in the top-right (e.g. 116) and the possible actions available on a skin: Preview, Edit and Delete. By sending in the initial post SkinId=116, the new skin will be used for the current payment. After you select the Preview state, the possible actions available for a specific skin are: Edit and Delete. You have the option to display the payment page with full redirect (in a standalone page), in a lightbox on top of your website or in an IFrame embedded in your website. You can also add custom CSS code to change other components of the payment page. 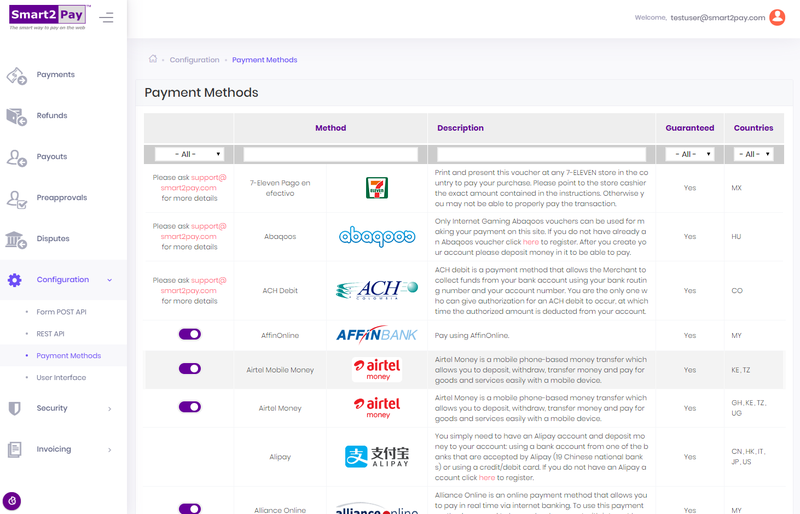 For more information regarding payment page customization, check our dedicated section here. The skins are created in the UIConfiguration page by clicking Create a Skin button. 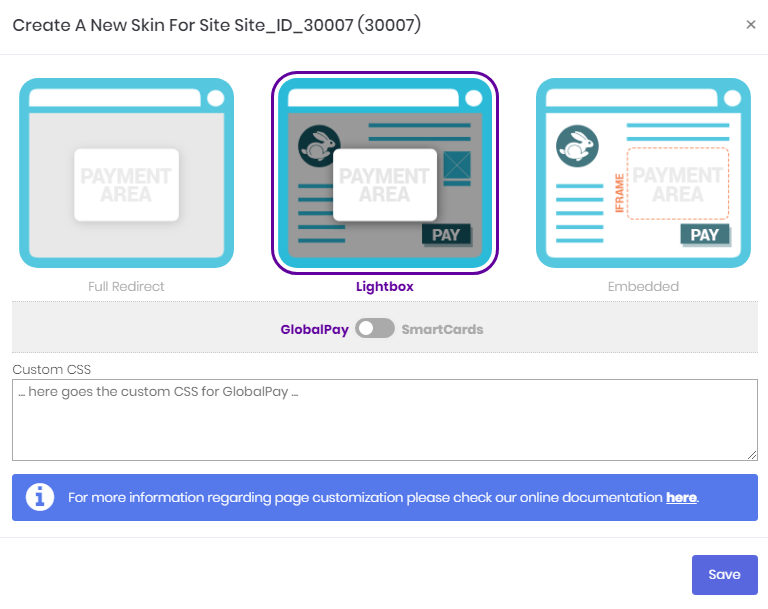 You have the possibility to create a new skin for GlobalPay system, choosing to display the payment page with full redirect (in a standalone page), in a lightbox on top of your website or in an IFrame embedded in your website and you can add custom CSS code to change other components of the payment page. 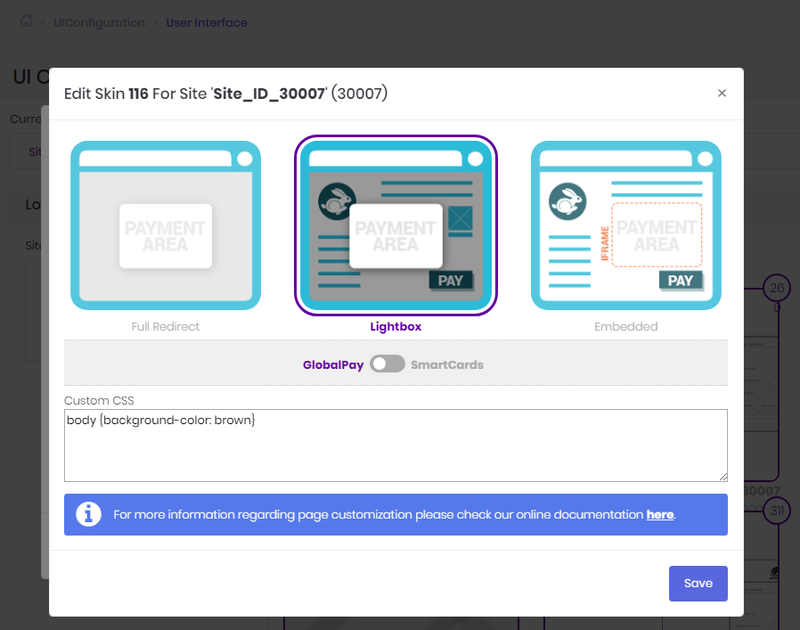 You can dynamically instruct GlobalPay to display a certain skin, by specifying in the initial POST a value for the SkinID parameter. 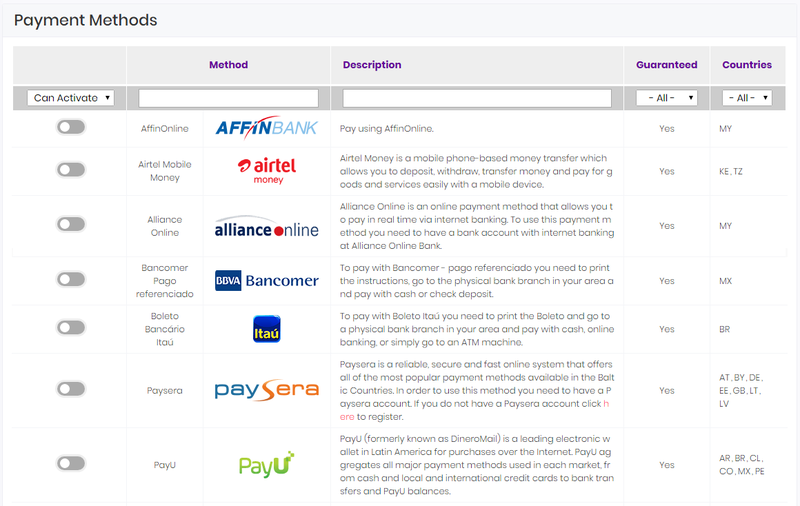 For more information, check our section Hosted Payment Page Skinning. 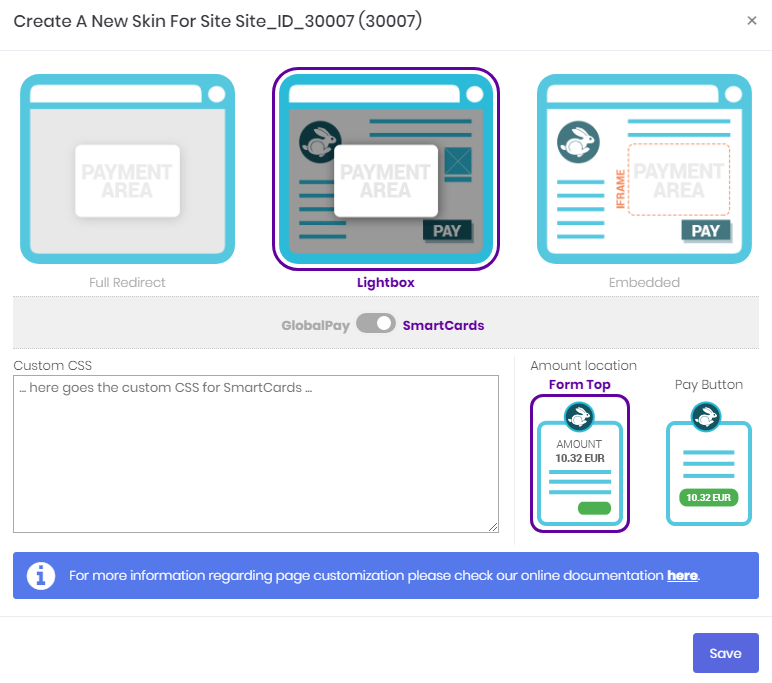 You have the possibility to create a new skin for SmartCards system, choosing to display the payment page with full redirect (in a standalone page), in a lightbox on top of your website or in an IFrame embedded in your website and adding custom CSS code to change other components of the payment page. Also you can choose the amount’s location inside the form: Form Top or Pay Button. 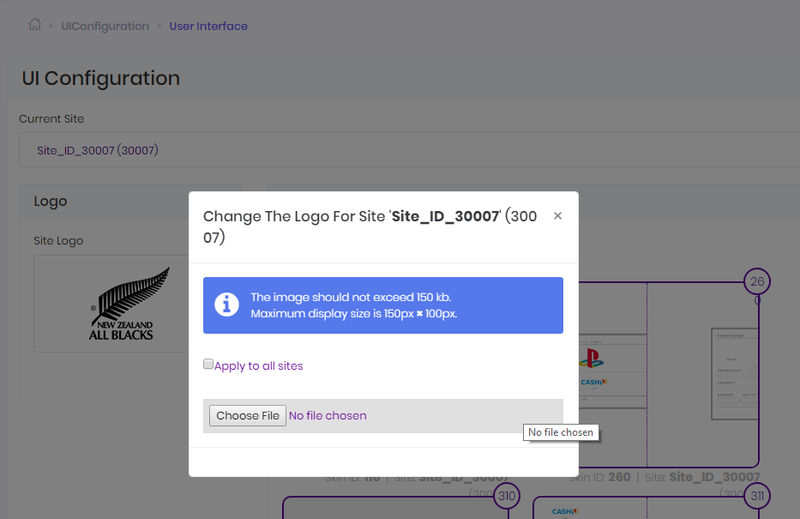 go to the Site Logo picture and click on the Delete button.